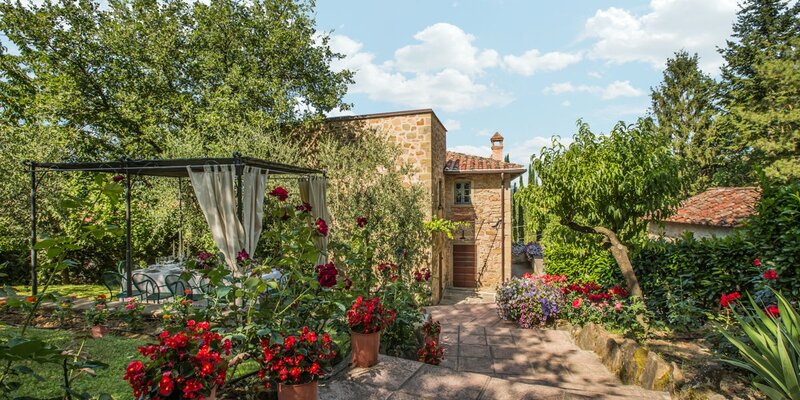 Are you planning a vacation at a Tuscan villa? Are you looking for a magnificent villa in the countryside near Tuscany’s most characteristic villages? Palazzo Rosadi and Torre del Cielo are two villas available for vacation rentals any time of year. They are directly and lovingly managed by the owner and family, who will accompany you in discovering this corner of Tuscany: visits to the villages of Monterchi, Sansepolcro, Anghiari, tastings at wine-cellars, chef’s dinners, and typical Tuscan cuisine. 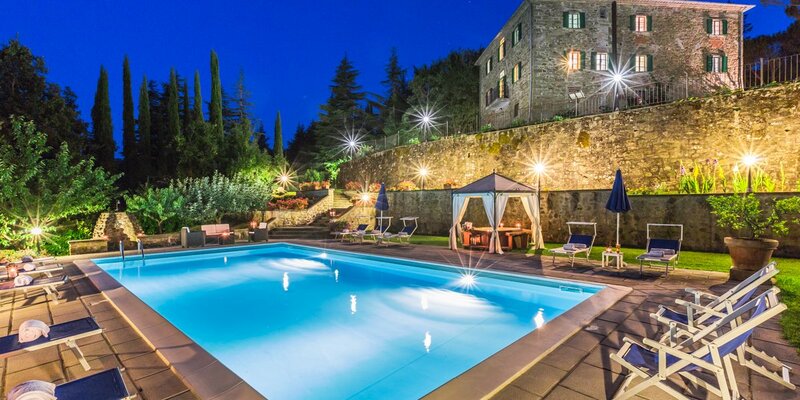 Palazzo Rosadi is a Villa in Tuscany with pool and welcomes guests in bedrooms and lounges with frescos, with historical rooms, furnished for luxurious comfort and a particularly relaxing and enjoyable atmosphere. Treat yourself to an exclusive holiday in a structure immersed in the green Tuscan countryside, complete with swimming pool, decorated lounges and refined bedrooms. 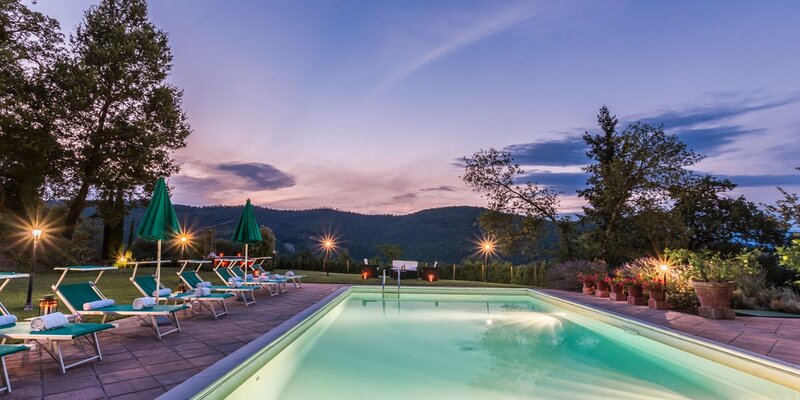 Torre del Cielo is a Holiday Villa in Tuscany. 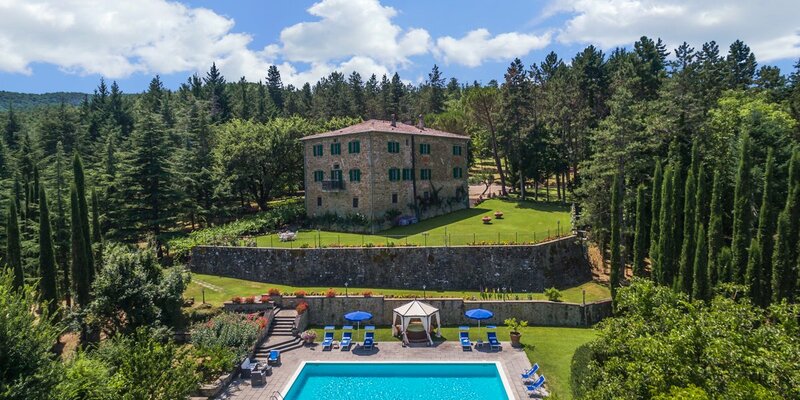 An antique watch tower offering splendid panoramic views of the Tuscan hills, is home to Torre del Cielo, an exclusive and more original solution for guests visiting Tuscany. The elegance of the furnishings, the exclusive services, the modern comfort, create a really charming atmosphere, where guests will experience the unique emotions of privacy and discretion. 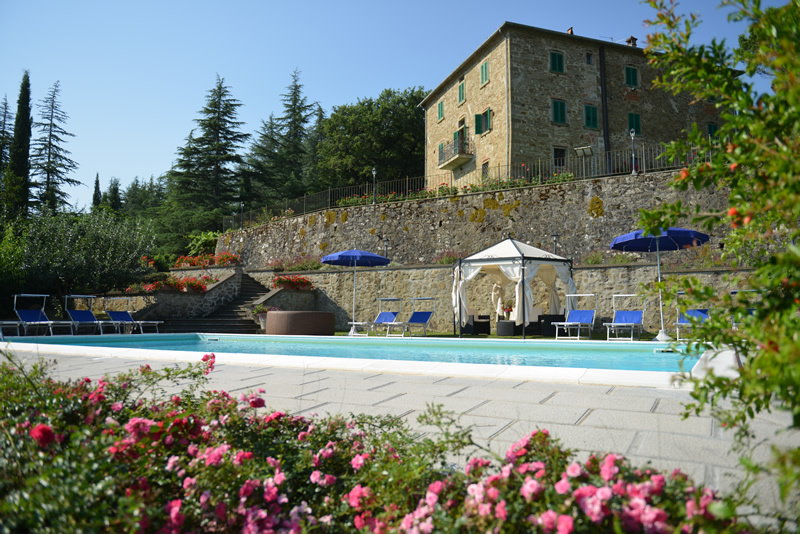 Palazzo Rosadi and Torre del Cielo are set in a beautiful countryside location close to the town of Monterchi. Both the villas are our property from many years ago , Palazzo Rosadi is our family villa and Torre del Cielo was a medioval tower both completely restored to satisfy the needs of a growing clientele. We live about a 20 minute drive from the villas with our two children, and are always pleased to assist our guests with their tours, sightseeing, museum bookings, wine tasting, restaurant selection and shopping, focusing on making their holidays a delightful experience.